SHOULD YOU PROCEED WITH CAUTION ? With any new endeavor there is always an element of risk. Sometimes that risk can act as an invisible force. One that makes us approach this new venture with “caution.” It can become an all too familiar scenario where limits are placed before any progress can me made. If you have ever held back on taking action towards a new goal or job after considering the risk you know what I am talking about. It is the same as “taping off” a portion of yourself. The same way they keep a crime scene intact. The difference is that you are actually guarding yourself from something you have yet to experience. With this behavior it will be almost impossible to embark on anything new. Which may be just what you need. 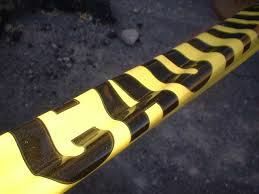 If you do place the “caution” tape around the new venture, it will be like creating a crime scene. There will only be certain people that can be involved. Because the tape will turn away people who might have otherwise considered becoming involved. Those who do become involved might also come with their own “caution”. This could create another level of limits. Only these limits you will not be able to see. They will present themselves as obstacles to your success in something new. The most effective way of avoiding these pitfalls is to minimize the amount of “caution” we use. We have to remember that whatever we place out into the universe will be mirrored back to us. If we approach something new with too much caution, those we seek to assist us will most assuredly follow that lead. However, if we embark on this new enterprise with an open mind and great enthusiasm,that will be given back. What is it that you have been considering embarking on? Are you guarded or taped off with “caution”?